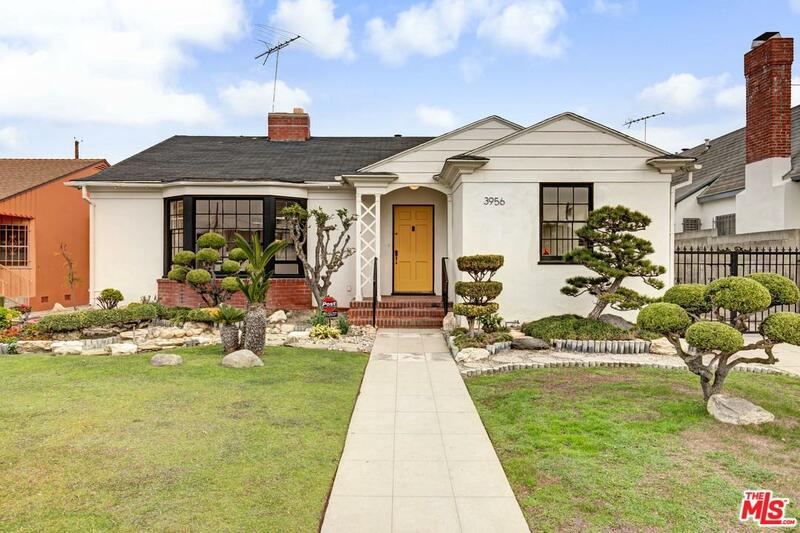 Exceptionally stylish Leimert Park home featuring meticulously manicured landscaping and natural light filled living space. Entertain your friends and family in this gorgeous home with oversized windows throughout. Original oak hardwood floors throughout harken back to the craftsmanship of the 1940s. Enjoy breakfast in the modern light filled kitchen with stainless appliances. Inviting bedrooms are cozy, light filled and spacious. The oversized master bedroom has two closets. Well appointed bathrooms are chic with subway wall tile, hexagon floor tile and modern matte black hardware finishes. Amazing designer backyard with rare Japanese Bonsai trees and rock garden landscaping is perfect for relaxing on the patio for BBQs or watching the sky turn from day to night. 2-car garage with a long driveway. Five blocks away from the future Crenshaw Metro stop and $2.7B Baldwin Hills Mall redevelopment. A truly great opportunity to own this beautifully restored home awaits.